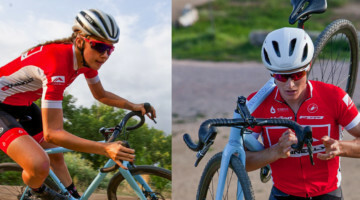 Three of the www.cxmagazine.com Racing Team’s young riders will be tackling the forthcoming 2015-16 Cyclo-Cross season on Raleigh’s RX Race bikes, thanks to a new deal with the cycle manufacturer. 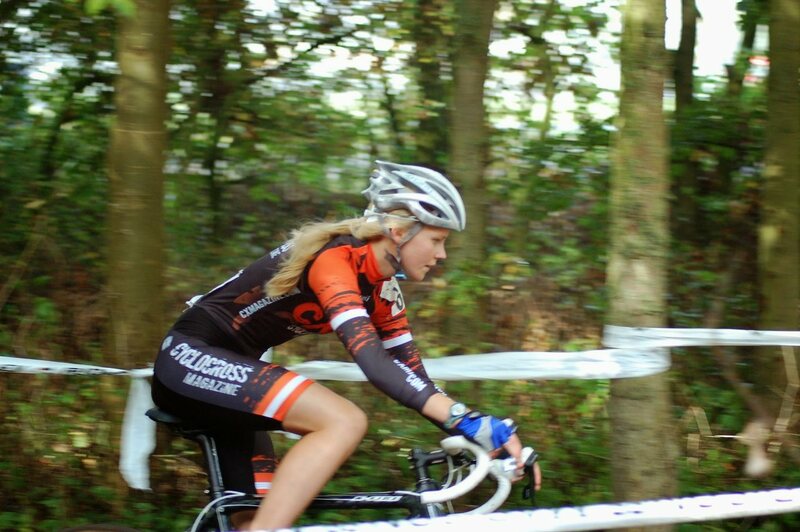 The team’s three under-23 category riders Hannah Saville, Joanna Rycroft and Edwyn Oliver-Evans, will be competing in both National and Regional race series, plus the season ending National Championships in January 2016. 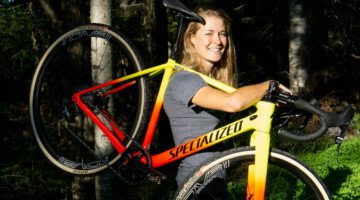 They will all be riding bikes from Raleigh’s new 2016 Cyclo-Cross range, which for the first time includes female specific bikes. The trio have already tasted success on two wheels in 2015, with Hannah the reigning Yorkshire Junior Champion, Joanna holding the Three Peak under-23 title and course record and Edwyn a recent double medallist in GB colours at the European Mountain Bike Orienteering Championships. 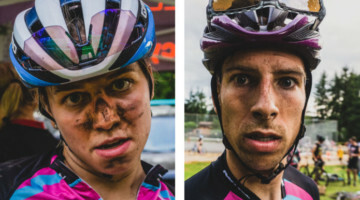 In the summer of 2013 Steve Smales & Ted Sarmiento set up a cyclocross specific racing team with the help of Cyclocross Magazine in the USA to support and develop talented riders here in the UK. In our first season we recruited Sarah Murray and Edwyn Oliver-Evans who both made it onto the podium of the 3 Peaks Cyclo-Cross race in the U23 category, with Sarah winning her race outright with a new course record. Last season our new rider Joanna Rycroft repeated the same, setting another course record while Sarah raced the UCI world level elite race in China and finished the season ranked 11th Nationally with her 7th overall in the National Trophy and 12th place finish in the National Championships. Edwyn had a difficult season due to a broken kneecap but came back strongly to finish 14th Nationally and Joanna also managed top 20 in the Trophy and 22nd in the Champs. The performances combined with our eye-catching kit and cyclocross specific sponsor has meant we have delivered great publicity for the magazine, clothing and component suppliers along with having an active social media presence. 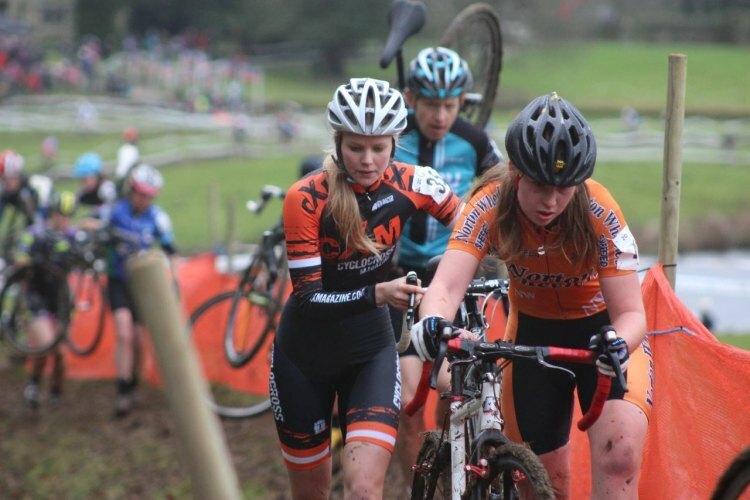 For 2015-6 our three supported riders are Joanna Rycroft, Hannah Saville and Edwyn Oliver-Evans with Sarah having been recruited by Torq Performance MTB team, which we consider a highly successful outcome. Our riders are expecting to ride the 3 Peaks Cyclo-Cross race and very unusually they will be competing as father & daughter/son teams as well. We will also be racing the Yorkshire, North-East and South-West regions along with the National Trophy and Championships, the highest level of UK cyclocross racing. 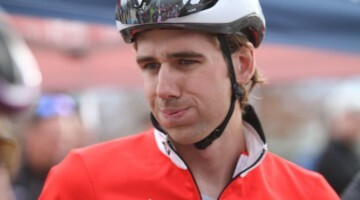 We also hope to take the team to Belgium for some international racing experience and exposure.